Rule number one in public apologies: no excuses or qualifiers, own your mistake and shut up, then maybe someone will forgive you. Roseanne Barr clearly is not following this rule. 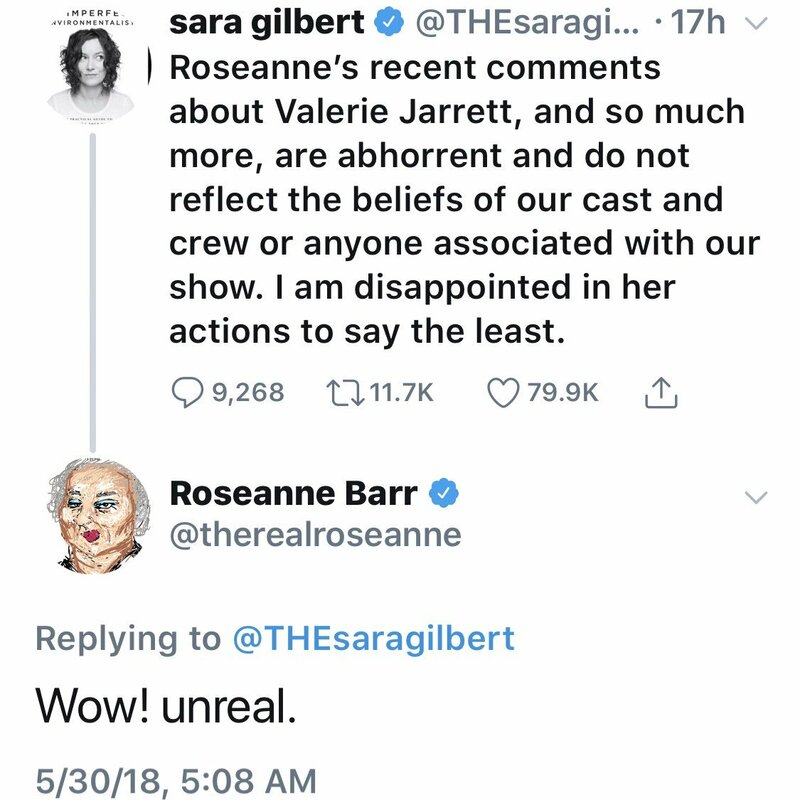 Yesterday, the Roseanne reboot was cancelled after a Barr tweet comparing Obama adviser Valerie Jarrett to an ape went viral. 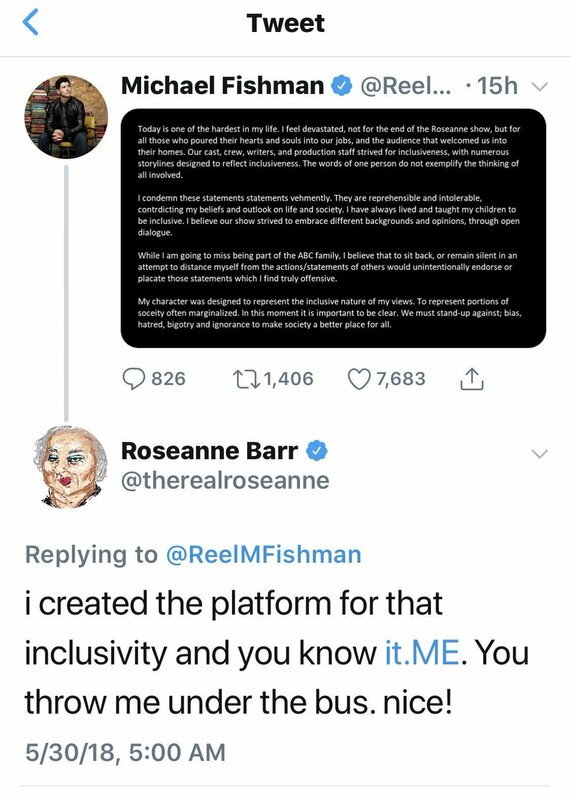 She wrote that Jarrett equals “muslim brotherhood & planets of the apes had a baby.” Barr gave an insincere apology and said she was leaving Twitter—which she did not. Now she is blaming her racism on Ambien and not being able to tell who is white or Black. Obviously, this comment is nonsensical considering in a now deleted tweet from 2013, Barr wrote that former National Security Advisor Susan Rice was “a man with big swinging ape balls.” Has she been on Ambien for 5 years? Let’s not forget her other hateful comments about Muslims, the Jewish community and the LGBT community. Barr then defends herself by saying she didn’t even know Valerie Jarrett was Black, as if that somehow makes her tweet okay. For those who don’t know, both of Jarrett’s parents are African-American, but she happened to be born in Iran because her father worked at a hospital in Shiraz. How is Jarrett? She is unfazed, and she told MSNBC yesterday, “I think we have to turn it into a teaching moment. I’m fine.” She continued, “I’m worried about all the people out there who don’t have a circle of friends and followers who come right to their defense — the person who’s walking down the street minding their own business, and they see somebody cling to their purse or run across the street or every Black parent I know who has a boy, who has to sit down and have a conversation, ‘the talk,’ as we call it. And as you say, those ordinary examples of racism that happen every single day.” Well said, Valerie. Wanda Sykes, who was a consulting producer on the series, quit, but let’s hope Roseanne doesn’t dare come for Sykes. 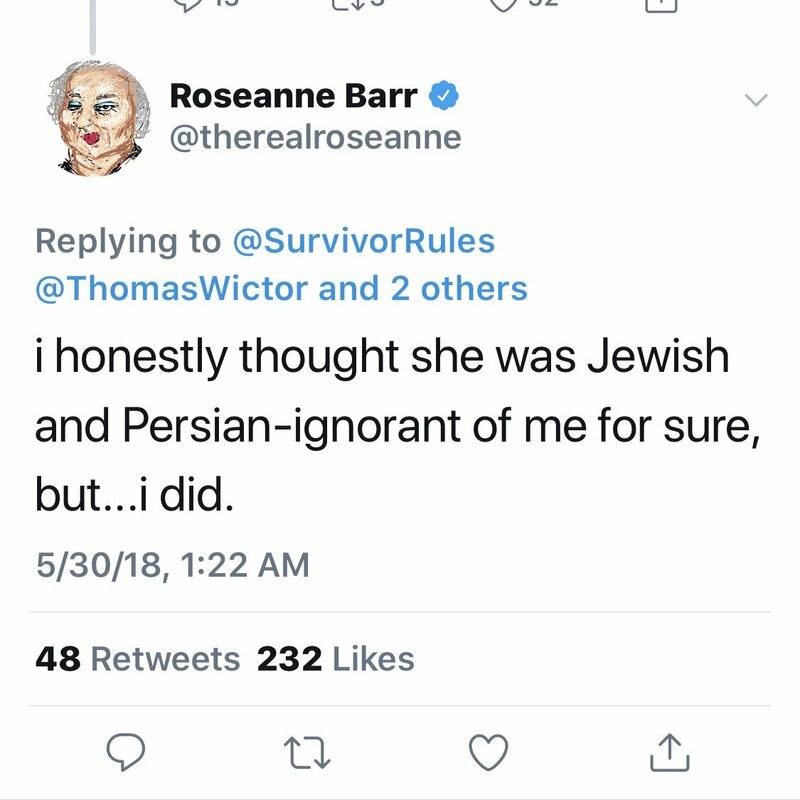 As we said yesterday, Roseanne Barr is a rich, privileged woman. The show being canceled will not affect her life in any significant way. She probably already has a job lined up at Fox News.